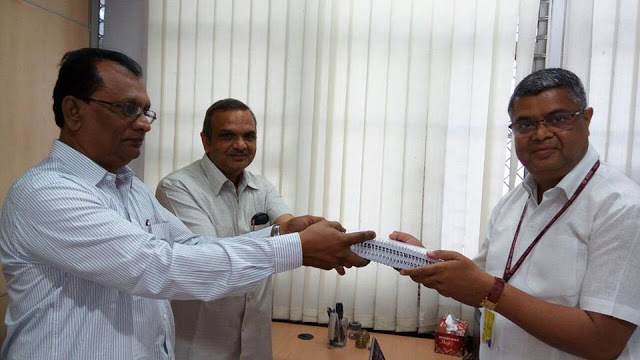 Memorandum was submitted on 18th March 2016 to Sri T.Q.Mohd., Secretary, GDS Committee for revision of wages and other service conditions of GDS employees. Com. P.Pandurangarao, G.S.AIPEU GDS. (NFPE) presented the case very effectively. Secretary GDS COMMITTEE gave positive assurances. Further, application for membership verification was also submitted to Dept. of Posts New Delhi. All Comrades are requested to make maximum efforts to make AIPEU GDS NFPE as no.1 Union. =R.N. PARASHAR, SECRETARY GENERAL NFPE.